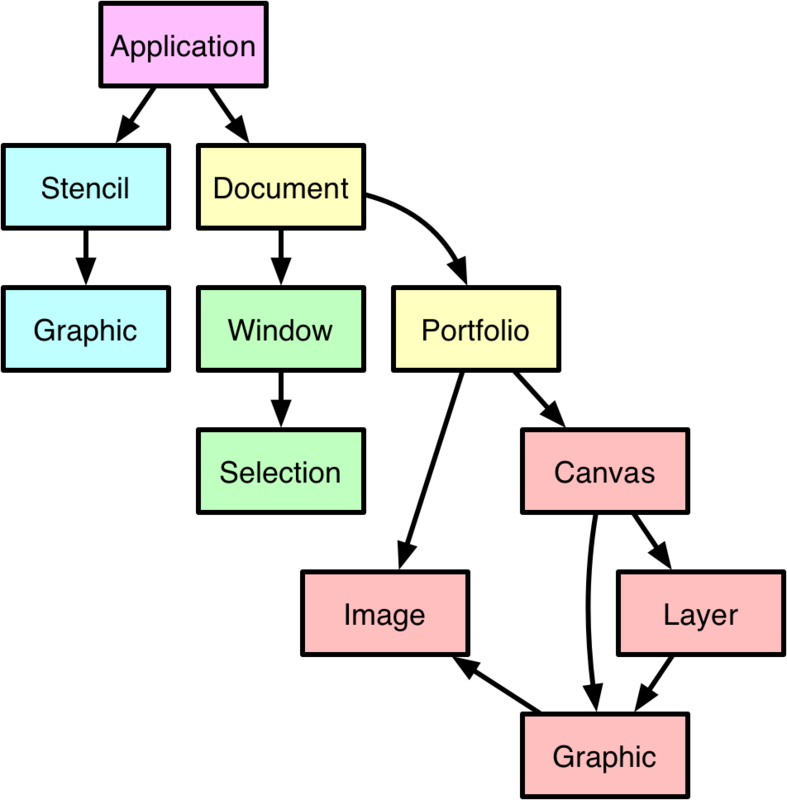 Most scriptable applications are designed with a hierarchical organization of their elements. For example, the OmniGraffle application edits documents that contain canvases that contain graphics that may contain text or images. As mentioned above, the current document is implied and its reference does not include the parent application object.